Got an old vehicle that you no longer needed? Are you�Looking for that hard to find car parts?�Car Wreckers�North Shore might just be the answer you�ve been�seeking for! Located in Auckland, we have an experienced�auto wreckers�team ready to assist you with your needs. Our used automotive parts supply warehouse�is located in a yard that is over 10,000 metres in size and contains well over 2,000 car parts which are all on our database. We are members of Capricorn.�Car Wreckers Hamilton are open Monday to Saturday: 8am to�5.30pm and Sundays 9am to 4pm only buying vehicles. Car Wreckers�North Shore�provides free car, 4WD and Trucks removal with top cash paid on the spot.�We Buy�cars�and do same day car removal or car purchase. Car Wreckers�North Shore Auckland�is located in�Auckland region�including��Northland and Bay of Plenty and further up the north island and down the south island. Any condition car, truck and 4�4 will be�removed�free of charge and instant cash will be paid for scrap vehicle up on pick up. 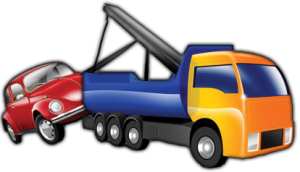 Any condition unwanted car truck and 4�4 or buss�is wanted now by car Wreckers North Shore. Car Wreckers�North Shore will take any of your unwanted, dead or alive, broken-down , accident, Rusted, vans utes trucks and 4x4s. Wanting top paid dollar for your old car give wanted dead or alive cars a call now on 0800 227�973 for a free no obligations quote or fill out our online instant quote at�www.carwreckers.co.nz to hear back from Car Wreckers�North Shore Auckland now. Selling Your�Vehicle with�No Rego No WOF in North Shore? Car Wreckers�North Shore�are reliable, letting you earn cash on the spot on the same day. Feel free to check Auckland Car Wreckers web Page.